The growth, the transformation, and the person I had become far outweighed hearing the announcer yell out my name. Peter Kadzielawski, Founder of TheTriHub.com and a USA Triathlon Certified Coach, with 16 years in the fitness industry helping others rediscover new possibilities. The most important part of pursuing any goal. 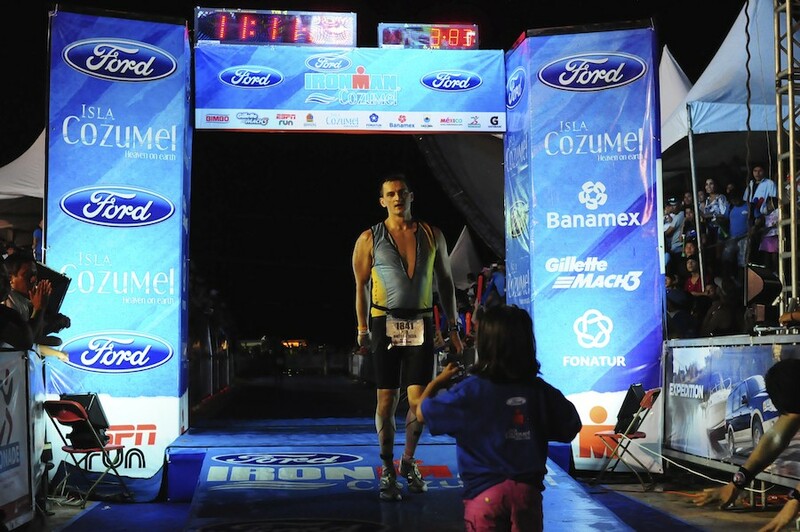 Why crossing the Ironman triathlon finish line was a disappointment for me? Well, let me explain. People often ask what crossing the finish line of an Ironman feels like. Whether they watched a documentary on NBC or read a book about it, they realize it’s a big deal to finish one. A 2.4 mile swim, 112 mile bike ride, and a 26.2 mile run completed within a 17 hour window can be difficult to comprehend, yet naturally the challenge builds curiosity around the idea. As they ask with excitement in their eyes, they look for a powerful hero-like tale filled with an assortment of adjectives. Often times the people pleaser inside me does not want to disappoint them. So I go on advocating what an unforgettable experience it was to cross the finish line. Training for an Ironman is a life changing process, not just a moment when you cross the finish line. From the moment you first see it on TV or read about it you make the immediate assumption “I could never do that”. But shortly after you start wondering, “Wait… could I do that?” This is how I planted a seed in my mind that turned into a desire to pursue what seemed like a daunting and distant vision. Turning this doubtful back and forth mind chatter into a solid goal is a transformation within itself. The physical part of the process has not even begun yet, but the Self-belief “muscle” is the first to be put to the test. As the training journey is about to start, you can expect it to strengthen massively in the process, forcing you to grow and expand your mind in unexpected ways. I learned that confidence can be improved, but it does take effort and practice like any other skill worth acquiring. Then comes the daily grind of the swim, bike, and run! Each discipline presents its own challenge for every athlete, depending on their strengths and weaknesses. You may face scheduling conflicts, sacrificing time with family, 4am wake up calls, soreness, tiredness, injuries, or an occasional bike crash if you’re like me. There are constant obstacles through which athletes persevere. Depending on your fitness ability the process of training may take anywhere from six months to a couple years. It truly is a slow, but impactful transformation that reaches deep inside your soul. It may alter your entire belief system of what’s possible and what you’re actually capable of. You will certainly see physical changes and improvements in health, but mainly your new outlook on life. You’ll start to impact those around you, and prove to them that they too can do it. So why was crossing the finish line disappointing to me? I had been anticipating my first Ironman for a long time, watching every Ironman World Championship documentary available while spinning indoors in the midst of a frigid, Chicago winter. I visualized what it would feel like when it’s my turn to live out the experience. So when the day of my first Ironman finally arrived, I believed everything was going to come together. All the hard work and sacrifices would finally pay off. The day was filled with many ups and downs. It was the longest distance I have swam or cycled — ever. Half way through the marathon, as I completed the first of two loops, I saw the finish line only a hundred yards away. Yet, 13 miles remained for me as I began loop #2. In the corner of my eye I saw other athletes finish as the announcer enthusiastically called out their names. At that very moment a plethora of emotions surfaced. Seeing other athletes finish gave me the chills along with the much needed boost to keep me pushing through the pain. It was at that exact moment, miles before actually crossing the finish line that I realized it was the feeling of becoming that was by far the pinnacle of the entire process. The growth, the transformation, and the person I had become far outweighed hearing the announcer yell out my name. The person I have become as a result of undertaking this journey is what matters. It is the process of challenging, conquering, and proving what you’re made of that’s most rewarding. It was the months leading up to the race that were most memorable and still stand out in my mind today. It was the journey itself that brought the most fulfillment. So as I approached the finisher’s chute with this powerful realization that I had been reflecting on the last couple hours, I felt an overwhelming feeling of gratitude that propelled me forward. And then, seconds later the disappointment set it, because just like that… the race was over. You want to have an awesome race season? Check out this meal plan! Set Yourself Up For Success With The Right Nutrition! Originally published at thetrihub.com on January 30, 2017.